NovelStyle: Codello: How to wear? Do you remember a few weeks ago when I finished 4th in the Austrian Blogger Awards? Well... I got a €100 coupon from Otto, and after a lot of thinking, I decided to spend them in Codello products! I first found out about this brand during the Blogger Bazaar in Munich, where they gave us a booklet explaining different ways to wear their scarves and foulards. Their stuff is so beautiful... I really cannot resist their super cute designs. I knew I wanted a foulard with a quote, and a Peanuts scarf. Yes, you read right.... they made a collaboration with Peanuts, and they feature Snoopy, Woodstuck, Charlie Brown, Linus, Lucy... all of them are there! I'm such a little girl, but I really needed one with the Peanuts characters on it :) . I'm so happy with these two designs! The best part is that as they have different shapes, I can wear them in different ways and in all the styles shown in their booklet. So I decided to share that with you and filmed a video with all the different ways you can wear these and other scarves. Really cool! 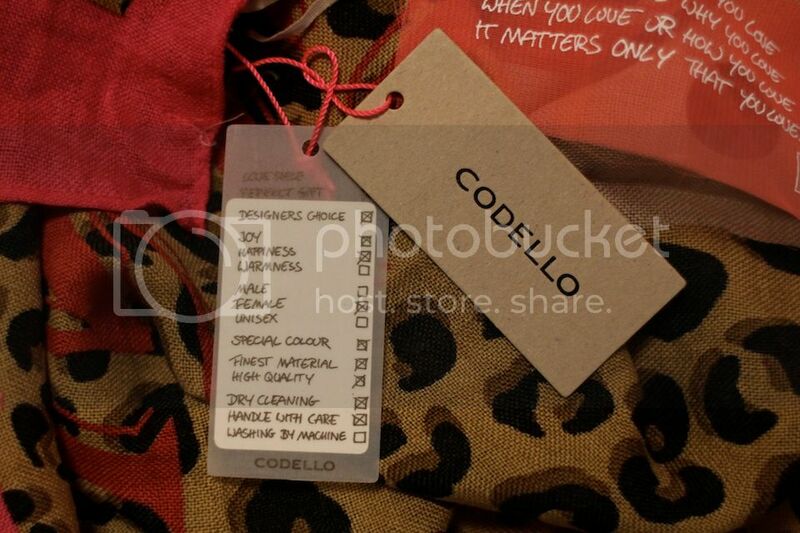 Nice print Codello! Me encantan los pañuelos y el video me ha parecido muy interesante!!! The scarf prints are gorgeous :) Congrats on winning the award! Beautiful colors and great ideas for wear scarf. Thank you for share. Beautiful finds. Leopard print is so in style right now. Great find enjoy the video thanks. How about you? Are you going to wait for Christmas this so fun? They look so awesome! Will check out your video when I get home later! Great video sweety, the scaves so pretty! So pretty! Thanks for the video. I love scarves like this! Gotta love scarves! Especially now that it's considerably colder! Lovely scarfs and nice video.... a lot of ideas, tnx for sharing Ileana!!! Love the video and the scarf! Oh wow, that video is so cool! Loved it- and the song too. Love the polka dots! Great video too. Congrats for coming 4th! And I LOVE the Peanut Comic Scarf !! omg!! Snoopy in a scarf! that is so cute!! my favourite and most use is the ‘easy twist’! love the video honey! Wow !! its so lovely ..
cool!love the first one! the scarves looks soo pretty! giglove! i love the second scarf....and nice video there..nvr thought there's so many way to tie the scarf..
the prints is so artistic!! i love it! Love the prints. I'm looking for a good scarf inspiration and I think this definitely good be e a great one. 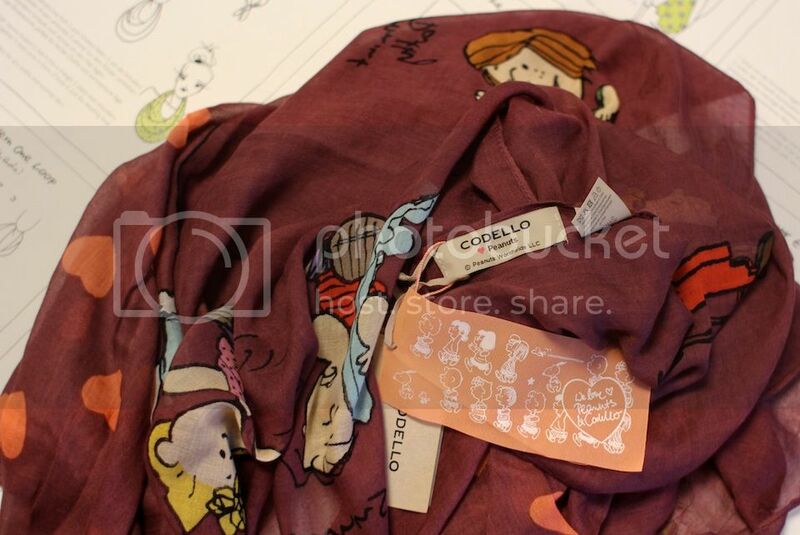 I soo love the Peanuts comic strip Scarf.. looks sooo cute ! 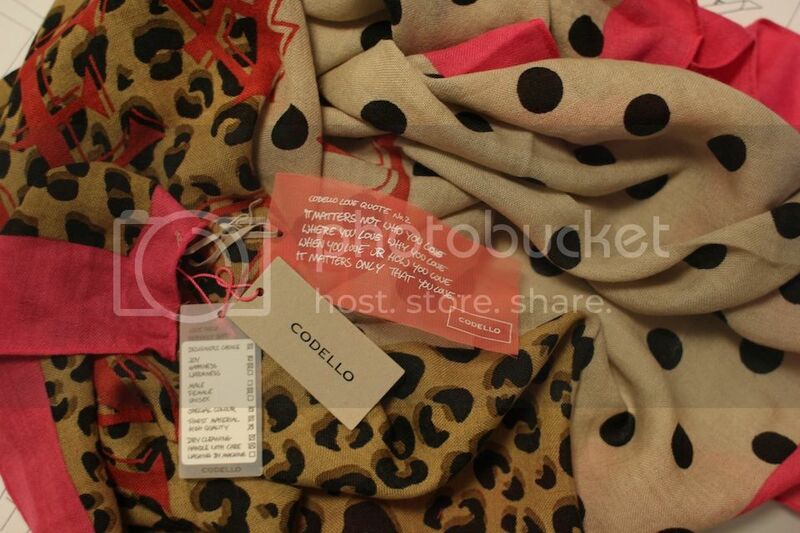 I would love to use it as a head scarf teehee :p btw lovely prints!